One down? : Is There A Problem Here? : One down? It appears that, maybe, one of the issues I reported has been fixed today. I am currently getting error messages (returned to the browser, but not displayed in the browser) that say "The System is down at the moment | HealthCare.gov". I hope that the difference in behavior is due to the issue being fixed or the password reset feature being taken offline. If this was an intentional fix, this is movement in the right direction. It still doesn't excuse returning such info in the first place. 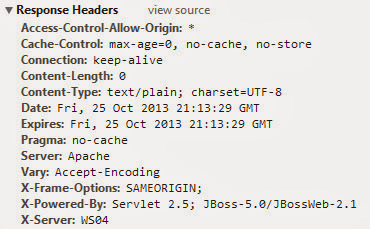 PS: Crossing fingers and hoping it works doesn't do much for software quality. UPDATE 10/28: HHS has confirmed that they have fixed the password reset part of the chain of vulnerability I reported. 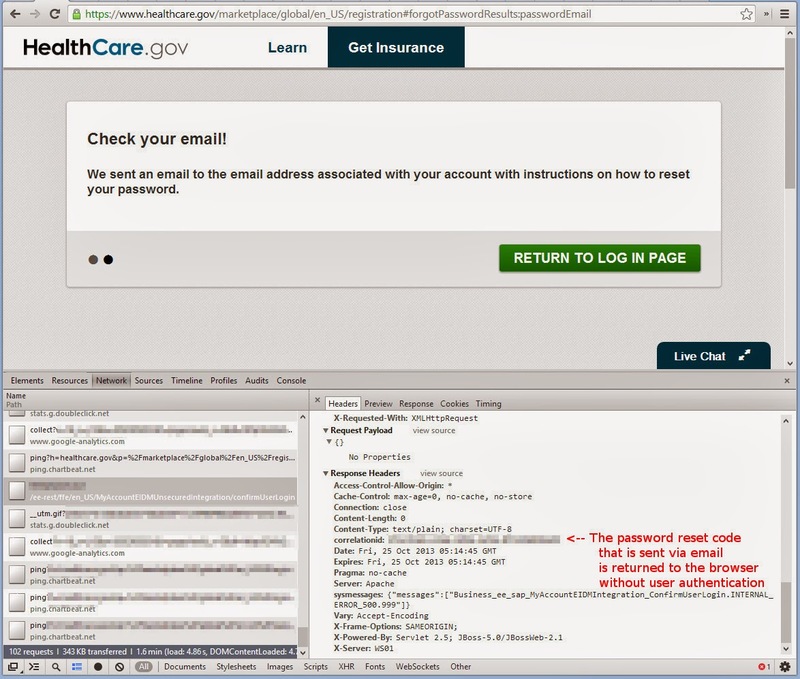 You can read more at: A security flaw in the original design of Healthcare.gov that could have disclosed email and other account information to hackers was eliminated Monday during an overnight fix, a Center For Medicare and Medicaid Services spokesman told TIME.